No really. It was SUCH a cold and VERY windy day in Bowling Green, KY, on Thursday when the Tigers traveled to take on Bowling Green High School! It took some time for us to figure out the wind on the girls’ end of the courts. It was a real factor. And some matches turned into a battle. 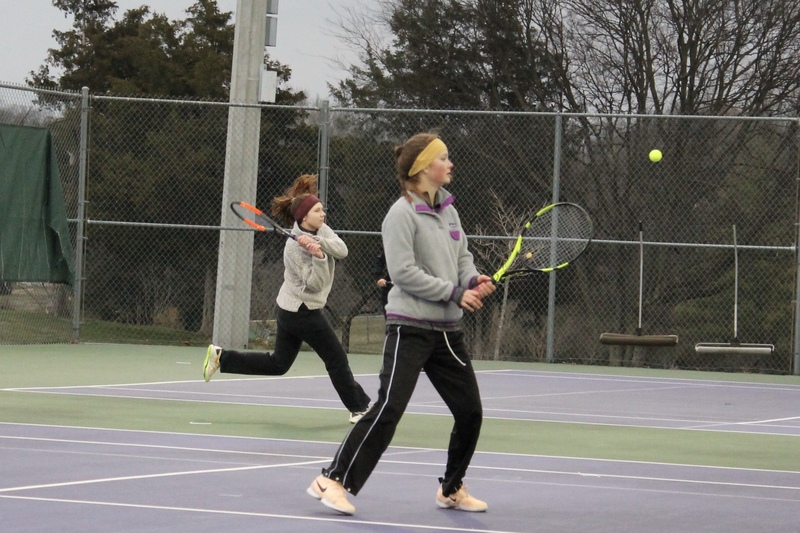 But the Tigers prevailed 6-3 with singles wins from Mamie Sevier, Molly Speight, Leah Pruter, and Fatima Razzaq then doubles wins by Megan Scott/Mamie Sevier and Molly Speight/Leah Pruter. The win takes the Tigers to 2-1 on the season (1-1 in District play). After taking the next 10 days off for Spring Break, action will pick back up the Monday following the break (April 1) when the Tigers are back on the road to Hendersonville High School.